For some background I recommend you catch the earlier posting. The conference had previously been held in Hobart back in 2009 and their mascot at the time was Tuz – a Tasmanian devil, wearing a fake beak, pretending to be a penguin. Wikipedia has more details on Tuz and the money raised in his honour that year. For 2017 the team had a local artist, Tania Walker, create an updated graphic featuring Tuz for the conference, shown at left. Kicking off the day our Keynote presenter was Pia Waugh. 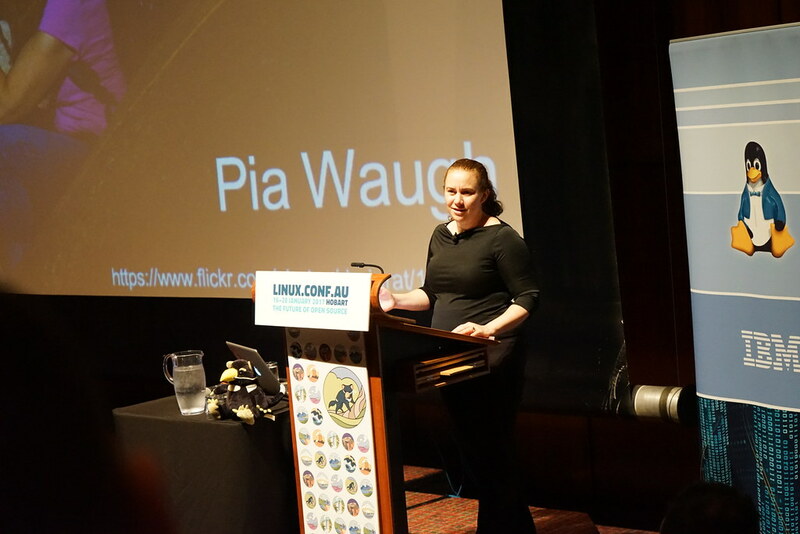 Pia is well known in the local and regional Open Source community as a former Linux Australia president, organizer of linux.conf.au 2007, starting Gov Hack in Australia amongst other achievements. For a detailed write up of her talk Choose Your Own Adventure, Please! I’d recommend the LWN article, Simon Lyall’s Blog or catch the video recording. 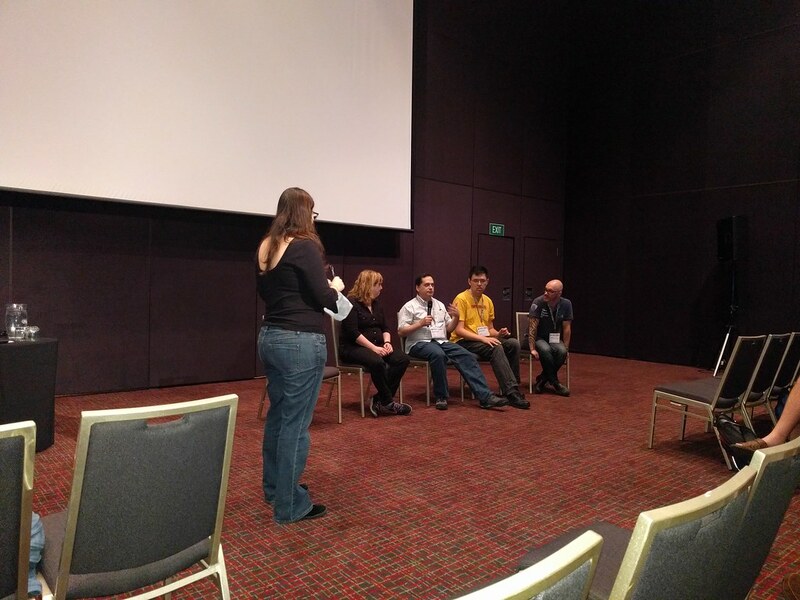 One aspect of linux.conf.au is that each year bring a fresh team and some changes to the program and format. For Tuesday we got some new miniconfs that took up most of my day Security and Privacy and Law and Policy. To allow for a more open discussion the Fishbowl session (right) on GPL Compliance that Karen Sandler hosted in the Privacy miniconf wasn’t streamed or recorded. It did provide some very interesting perspectives on how to approach open source licenses, and the format was an excellent way to allow for a range of contributors. As usual the Open Hardware miniconf was oversubscribed and had a waitlist. In-fact hardware hacking and IoT was a major theme for the 2017 conference. Some of the attendees were even treated to a little dolphin watching from the board-walk outside the venue. If anyone has photos they can share please reach out. Tuesday evening had no planned social events so a great chance to catch up with old friends and make some new ones in Hobart. 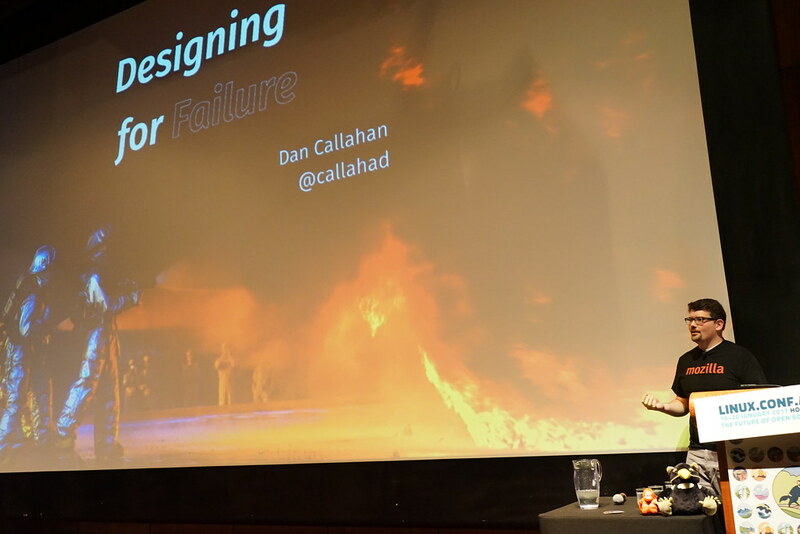 Dan Callahan’s keynote “Designing for Failure” (video) presented a perspective on how to end or move away from an Open Source Project, how to deal wiith failure. His focus was on the Persona identity project and Mozilla’s learnings on how the project failed to meet its goals, and how they then closed down the project. It also included some amazing fire imagery that lives in the public Domain c/o the US Govt. After the break we rocked into the formal program for 2017 with a great breadth of content. There are always multiple sessions you want to see so the quality of the video recordings from the Next Day Video team, and their volunteers, makes life a little easier. First up was Jack Moffitt covering Servo Architecture: Safety and Performance (video). It was really interesting to hear about the benefits of developing in Rust, and how that translates into a more stable and secure browser environment. I liked their pragmatic of trying to bring as many benefits as possible back into Firefox rather than purely focussing on a next generation browser that may take many years to gain popularity. Next up was The Internet of Houses: Whare Hauora (video) with Brenda Wallace and Amber Craig. Hearing Brenda’s journey to provide a healthy environment for her own family and then, with Amber and Hiria, translating that into a Charity and Open Source Project than could benefit many New Zealanders was inspiring. The project has developed a low cost temperature and humidity sensor platform to help people monitor the health of their home. With a large number of poorly heated or insulated rental and state housing in NZ this data can help change behaviours, plus improve the health for a considerable part of the population. 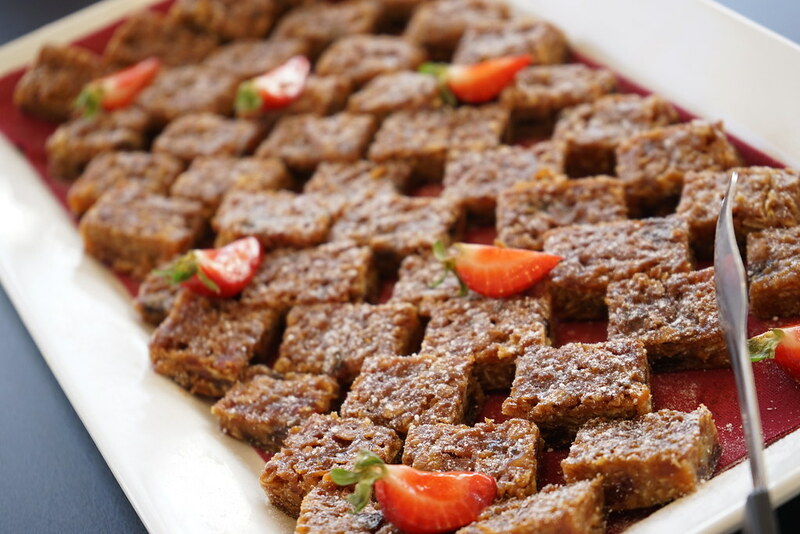 After a wonderfully catered lunch by the Wrest Point team choosing sessions wasn’t any easier. I decided on Daniel Axtens session 400,000 ephemeral containers: testing entire ecosystems with Docker (video). It proposed an interesting approach of using Docker containers to rapidly test the entire Python, Ruby, Node.js package ecosystem on OpenPower. In some respects the approach is a little “brute force”, but I loved how simple it was to perform a basic validation. As a community we need to better acknowledge that there are other architectures outside of x86. 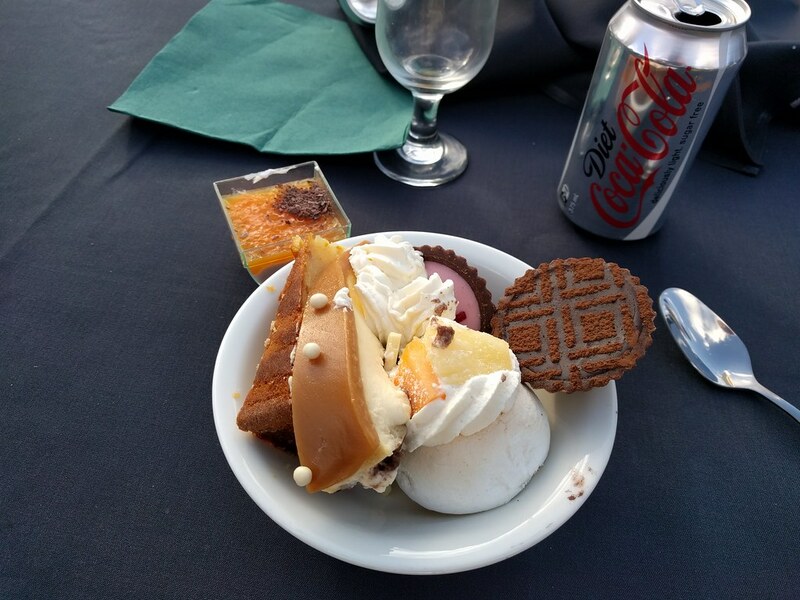 LCA regular Stewart Smith gives interesting and entertaining talk, plus I have a soft spot for OpenPower, so was intrigued by Organizational Change: Challenges in shipping open source firmware (video). The challenges of working in the multi-vendor ecosystem with many different bug trackers and convincing traditionally proprietary vendors how to work upstream was an interesting journey. At the end Stewart provided a reading list I’ll need to dip into. This is a great talk if you’re trying to bridge Open Source development and collaboration into largely proprietary organisations. Post afternoon tea was the worst conflict of any session. I wanted to see all 6 talks. I decided on the A tour of the ARM architecture and its Linux support (video) by Thomas Petazzoni as I’d worked on ARM development back in the late 90s and still hack on the platform occasionally. For anyone who needs a baseline on ARM SoCs vs Architecture to better understand the ARM ecosystem this is a great introductory talk. Sadly I’d personally covered a lot of this ground before, but for anyone with less experience this would be a great session. The last session of the day before the evening social was a little better with only 3 of the sessions marked as must see. I’ve known Andrew Ruthven for many years as we both hack on MythTV and Andrew was LCA conference chair back in 2010 for Wellington. Andrews Open Compute Project down under (video) session makes for a great Open Compute primer and covered some of the challenges of scaling the Open Compute approach down to suit the AU or NZ markets. 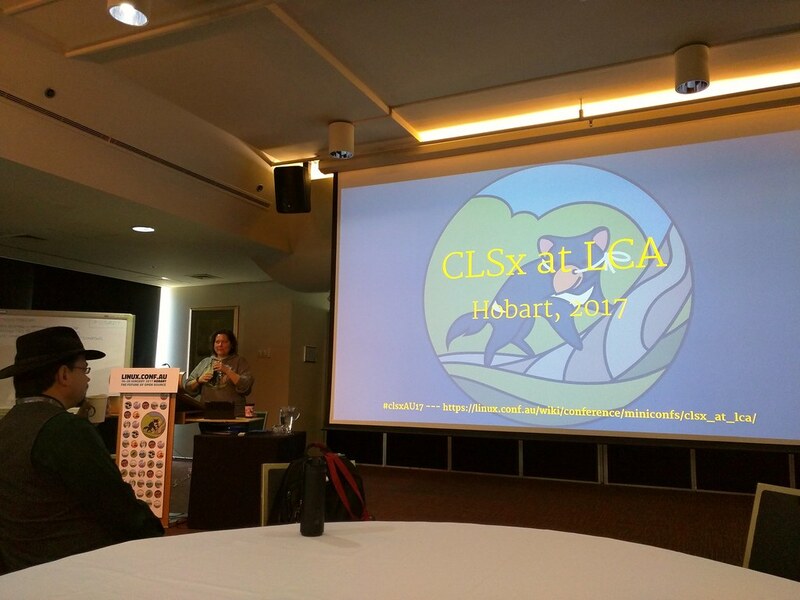 Nat was a first time attendee and speaker for linux.conf.au and mentioned to me that in part she’d only submitted her talk as a way to persuade a friend to submit a talk. I heard amazing feedback on social media on using the “lens of knitting” to look at early coding, including encoding messages in the war. Definitely one for later watching. The evening closed with the conference “Penguin Dinner” outside in the Wrest Point gardens. 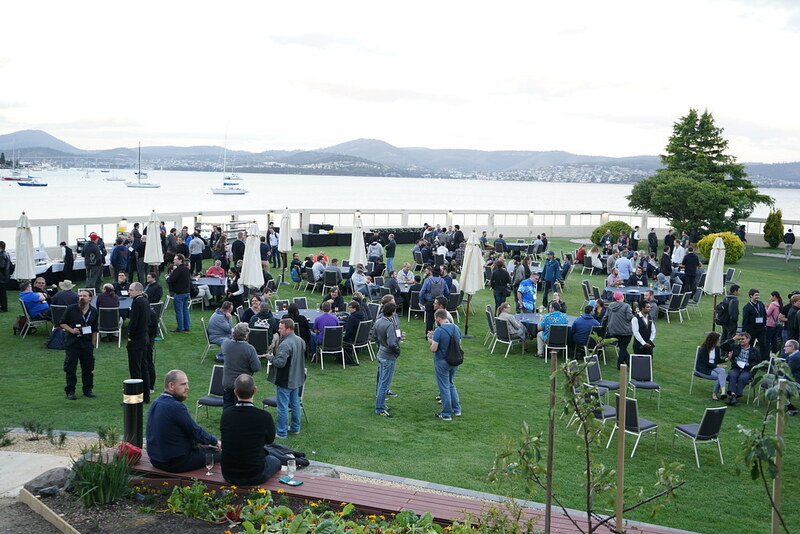 A great chance to socialise, and I can’t say there are many conferences were all of your Keynote Speakers turn up for the conference sessions and dinner events.